Since the day it was formally opened to the public, I was already yearning to go and try out the place. Though it was just 5 minutes walk from where I’m working, I can’t find a time to go since I’m working on a night shift. Until a day came when we had a chorale practice during the holiday, so I took it as a chance and had a photowalk at the Ayala triangle Gardens after. 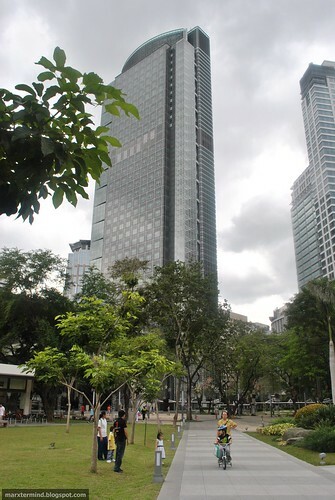 Located at the heart of Makati Central Business district is a two-hectare of green and scenic landscape. What’s new, is the additions of unique and exceptional restaurants located alongside and the spectacular symphony of lights and sounds. 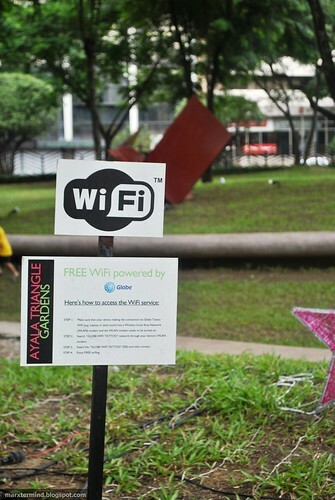 If you’re looking for a new and cozy restaurants, the Restaurants at Ayala Triangle Garden is a must-try. 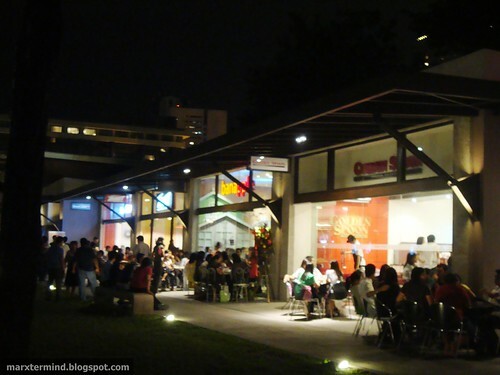 The place is a mixture of traditional and remarkable restaurants that are sure to have something for everyone’s tastes. 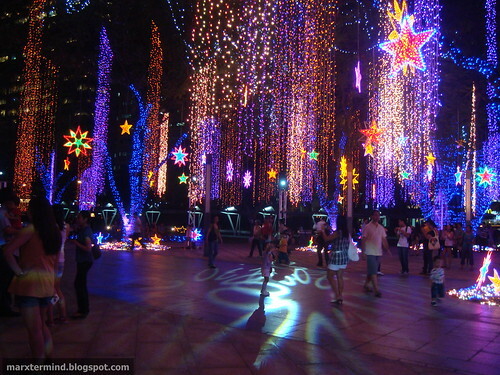 One night, me and my office mates went to Ayala Triangle Gardens and witnessed the Symphony of lights. 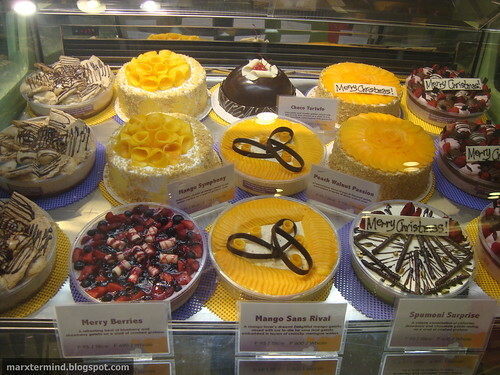 Afterwards, we went to Banapple and tried out their cakes. Since it’s always packed at the restaurant, we just bought cakes and ate it at the office. I haven’t tried these desserts yet but because the cake and the ice cream were picturesque, I took a picture of it while my best and her friend is having a little chit-chat. Wow! 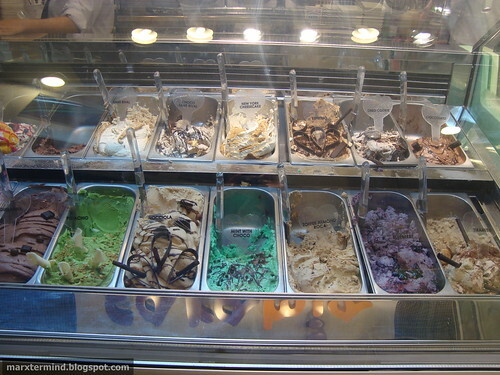 They looked delicious… Hanggang tingin lang muna ako. 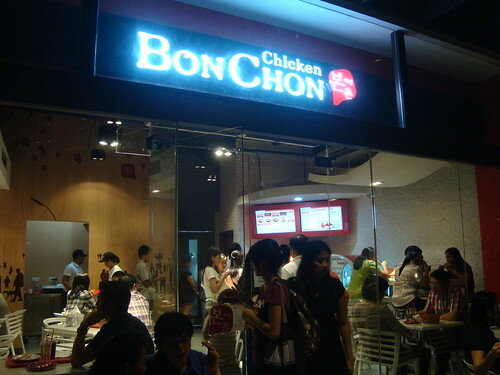 Now, it’s time to try the first in the Philippines branch of Bon Chon Chicken. I read a little good reviews about the restaurant (with some bad sides), so I thought of trying it that day. The restaurant was almost packed, good thing we found available table outside. 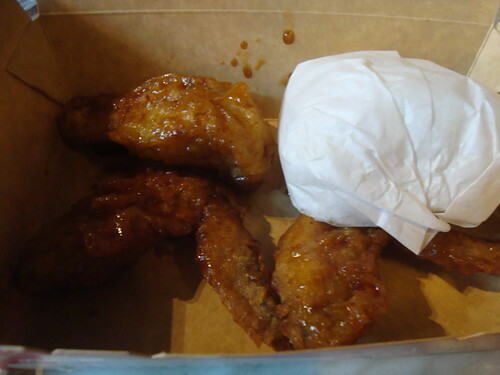 We ordered the 3pcs Chicken Wings ricebox meal, costs PHP 135.00. Soda is already included in the meal. As soon as our food arrived, I was so excited to find out how it tasted. The serving was small, the chicken wings were small. It is tasty and crispy but it was not worth-it for a PHP 135.00 meal. It could be good if there’s a side dish. I like the taste but I was not satisfied with our meal. Parang dumaan lang, di kami nabusog. 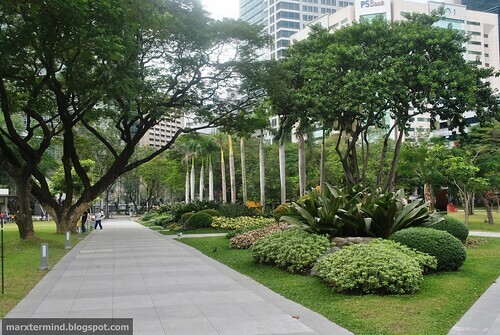 Another reason to visit Ayala Triangle Gardens is the spectacular Symphony of Lights. The lights and sound spectacle shows every 30 minutes, from 6:00 PM at 10:00 PM. 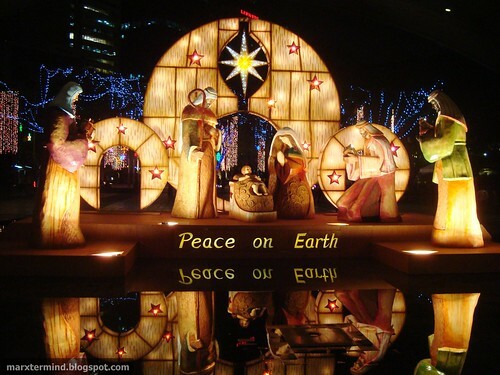 Everyone will enjoy the beautiful and spectacular show of lights and sounds, which suits this season. And now let the pictures do the talking. Fun! @Anything Random, that's true however it's not worth the price, too expensive for little chicken wings. Tried BonChon and their Chicken wings tasted ok yet extraordinarily crispy. 🙂 Liked Soy Garlic more than the spicy ones. @Chyng, thanks… crowded lagi pag dumadaan ako bukana kasi din kaya un unang nakikita ng mga tao. 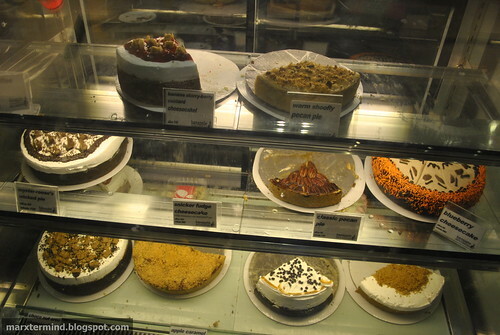 pero for the banoffee pie, go kahit crowded!!! @kura, hanggang tingin pa lang ako sa mga cake na yan. mukhang masarap nga! Hehehe! @pusang kalye, Tama! Mga pa-simpleng shots! Hahaha! Mahusay! Sinasama ako mag jogging dyan ng mga officemates kong chubilog pero tumatanggi ko e. tamad lang. ito nga pala daw yung ka-abang abang dun. =) thanks! nakadagdag to sa hatak hahaha! 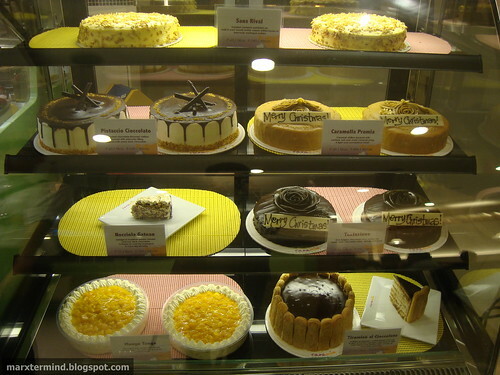 at ang yummy ng cake mo! ayiii! Wow. 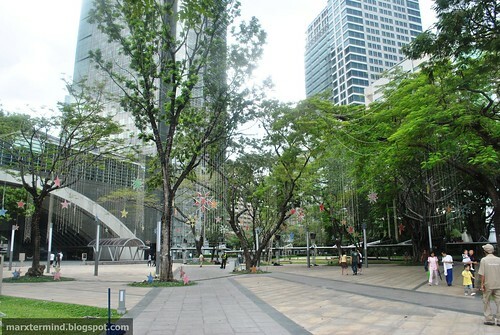 I used to pass by this place everyday when I was working along Villar.